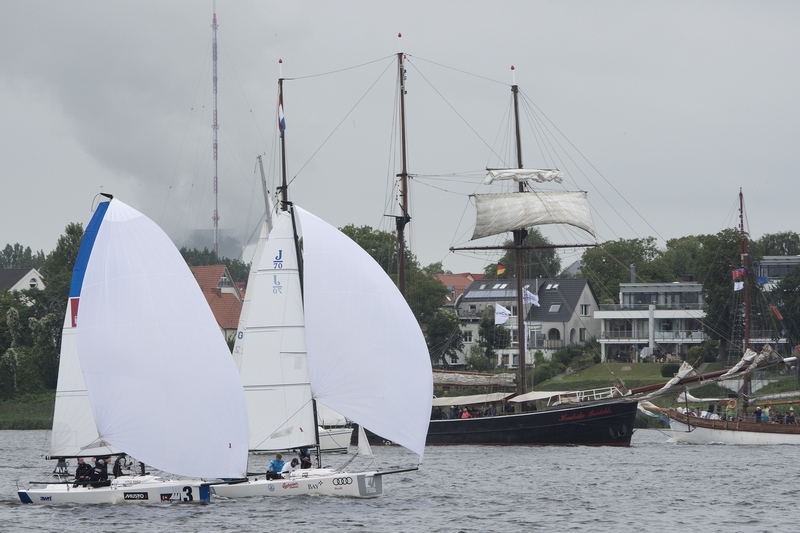 The 6th Baltic Sail Nations Cup took place on August 11th in Rostock during Hanse Sail. The invitation followed six international sailing teams from Szczecin, Gdansk, Riga, Bremen, Rheinland-Pfalz and Rostock. 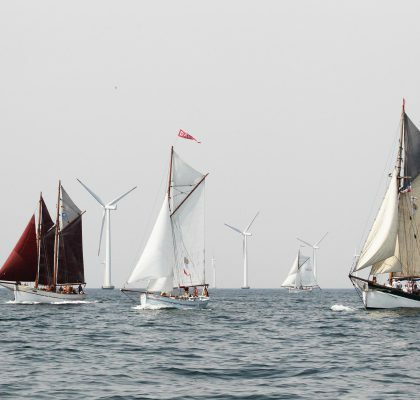 After a successful training session on Friday morning the competition started at noon for all teams in a fleet race. 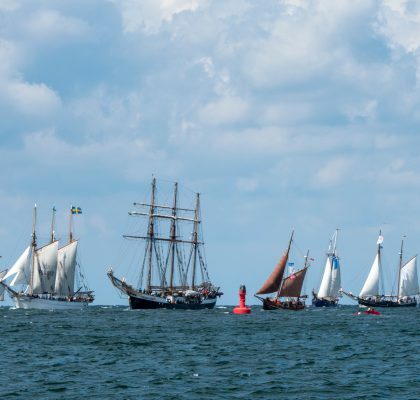 In total there were 12 races to sail and finally the winner trophy went back to last year´s winner Gdansk. Host port Rostock was second and Riga took the third place at home. 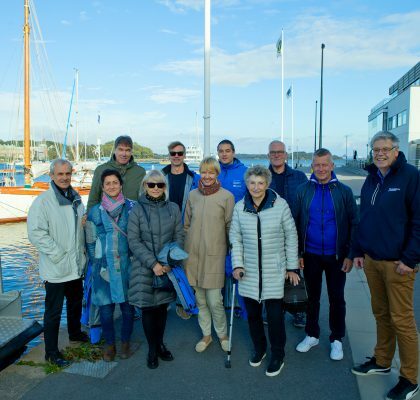 All teams had a lot of fun during the races and training sessions and enjoyed their visit of the Hanse Sail in the evening hours.